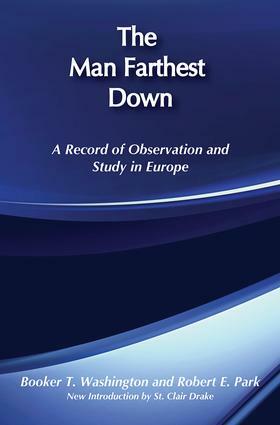 The Man Farthest Down represents an early contribution to the study of comparative social systems. Its treatment of life in the East European shtetls is as moving as the analysis of ghetto life in America. In his new introduction to this edition, Drake illustrates the intellectual camaraderie shared between Park and Washington in their studies of race. Drake also details their individual observations, philosophies, and activities in both their academic and political lives.